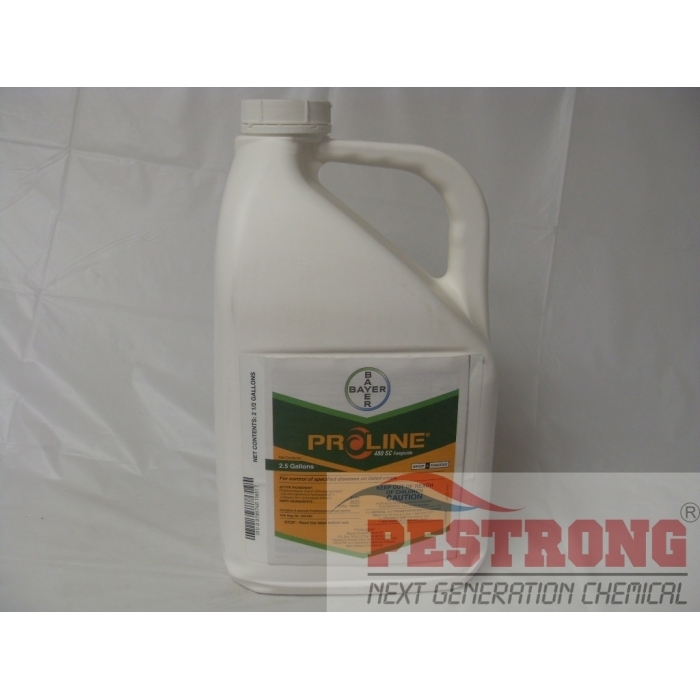 Where to Buy Proline 480 SC, Proline 480 SC Fungicide Prothioconazole - 2.5 Gallon - $1,684.79 for Sale with Fast Free Shipping! By buying this product & leave product review you can collect normally 168 reward points as a voucher of $16.80(1%). Proline 480 SC Fungicide Prothioconazole - 2.5 Gallon is a broad-spectrum systemic fungicide for the control of Ascomycetes, Basidiomycetes and Deuteromycetes diseases in a variety of crops including barley, buckwheat, bushberry subgroup, low growing berry subgroup (except strawberry), canola, corn, crambe, cucurbit vegetables, dry shelled pea and bean crop subgroup, field mustard, Indian rapeseed, millet, oats, peanuts, rapeseed, rye, soybean, sugar beets, triticale, wheat conifer and hardwood nursery seeds and seedlings. Proline fungicide is a powerful tool that provides outstanding broad-spectrum disease control in multiple crops, while helping to preserve quality for enhanced yield and profit. Proline Fungicide can provide control of certain soilborne/seedling diseases when applied as an in-furrow application at time of planting or as a banded application applied over the row at time of planting and up to row closure on certain crops. Rate : mostly 4.3 - 5.7 oz per acre, but vary depends on the crop and application method. The best I have ever used. The cost is more than justifiable. It works to completely protect all of my crops. I don't need to buy fungicides that are crop specific because this one works on a massive number of them, all of which I grow.